Part of the Critical Realism Network Webinar Series, the upcoming webinar is hosted by Professor Philip Gorski (Department of Sociology, Yale University) and Timothy Rutzou (Post-Doctoral Associate, Yale University) and addresses The Problem of Autonomy. Wednesday, May 17th, 12:00-1:30 pm EST. Click here to register. Brief Description: At the recent Values and Human Flourishing conference, a single issue continually emerged: how should we understand autonomy, and what place does it serve within ethical and political projects? Questions about autonomy, social solidarity, human dependency, and interdependency in many ways serve as the bridge between empirical research, social theory, ethics, and politics. Like the topic of structure and agency, the complex relationship between autonomy, dependency, and interdependency is a key problematic of social philosophy and sociology. The long tradition of Aristotle, Thomas Hobbes, John Locke, David Hume, Immanuel Kant, G.W.F. Hegel, Karl Marx, Emile Durkheim, and Max Weber were all concerned with unpacking this problematic, often without shying away from addressing its moral, ethical, and political implications. Our modern understanding of autonomy is animated by this intellectual history and the many antimonies this tradition has generated. How might critical realism help us to address or contribute to this contested history? The answer is not clear. In this webinar Gorski and Rutzou will discuss the manner in which critical realism might be able to help us navigate this problematic by providing an ontologically stratified view of self and society, and a complex account of causation. Where Gorski argues for a more Durkheimian turn, Rutzou argues for a more poststructuralist turn. Are such accounts compatible? Incompatible? Does the ontology advocated by critical realism necessarily entail certain ethical and political positions? Do certain positions become incoherent when one adopts a critical realist ontology? Or is critical realism morally, ethically, and politically promiscuous? The webinar will explore these issues. The 1972-2016 General Social Survey cumulative file is now available on our website (http://gss.norc.org/). As of Wednesday April 5, it is also available on the GSS Data Explorer (https://gssdataexplorer.norc.org/). New GSS Trends Feature: Already available on the GSS Data Explorer you will find the new GSS Key Trends feature. This dynamic visualization function is designed to provide both researchers and the general public with unprecedented capacity to create graphic views of key trends and user responses over time. Kathrin, Zippel. 2017. 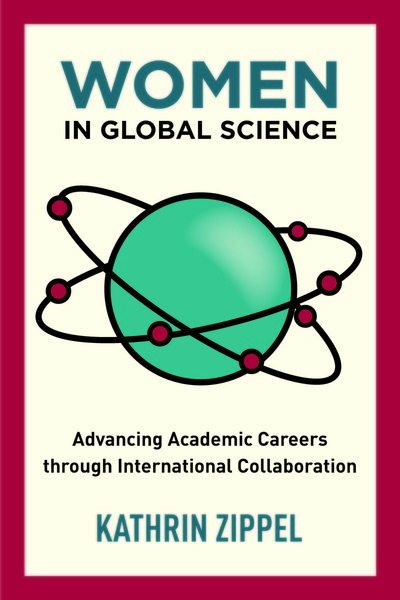 Women in Global Science Advancing Academic Careers through International Collaboration. Stanford University Press. The summer school aims at supporting young researchers by strengthening their ability in linking theory and empirical research. The two-week program creates an excellent basis for the development of their current research designs. In the first week, we address the key methodological challenges of concept-building, causation/explanation, and micro-macro linkage that occur in almost all research efforts. We strive for a clarification of the epistemological foundations underlying methodological paradigms. In the second week, these methodological considerations are applied to central empirical fields of research in political science, sociology, and other related disciplines. In this second part of the program, participants are assigned to four thematic groups according to their own research topics. The thematic areas covered are: “External Governance, Inter-regionalism, and Domestic Change”, “Citizenship, Migration, and Identities”, “Social Struggle and Globalization”, and “Democracy at the Crossroads”. The international summer school is open to 50 PhD candidates, advanced master students, and young postdocs. The call for applications is currently open. Applications can be submitted online via the application form on the summer school webpage until March 31, 2017. ‘Migration and the (Inter-)National Order of Things. Law, state practices and resistance’, June 12-22 2017. This interdisciplinary PhD course aims to deepen the understanding of the politics of protection and control of contemporary migration. It asks: How are migrants given different bureaucratic and legal identities (e.g. refugees, stateless persons, irregular migrants) and what are the consequences of such distinctions and labels? What protection does international law and humanitarian institutions offer to different categories of people? What are the spatial, temporal and gendered implications of the protection and control practices aimed at migrants? And, how are the legal and bureaucratic identities, and institutions of migration control, challenged by migrants themselves? This course is one of six parallel courses in 2017, spanning disciplines within health, humanities, and social sciences. In addition to the courses, there will be a series of joint sessions about research tools for PhD candidates, but also plenary sessions with keynotes, debates, and an excursion. For more information and for applications, please visit the summer school website.